For many people, their fondest holiday memories are drawn from happy childhood days spent with their families in a holiday caravan on a park on the coast, or deep in the countryside. If it’s been a little while since your last experience, then be rest assured that your memory is not playing tricks. That feeling of freedom tinged with a little sense of adventure is still part of the thrill of a caravan holiday – as is waking up in the knowledge that just outside the door is an unfamiliar environment just waiting to be explored. But one thing certainly has changed in the past couple of decades, and that’s the holiday caravans themselves. If your recollection is of a slightly spartan interior, a couple of gas rings for cooking, and extra woolly jumpers for warmth, then that’s one bit of nostalgia you’ll have to do without on your next visit. What can I expect in a modern holiday caravan? Luxury furnishings and fully-fitted kitchens with ultra-modern appliances are now the name of the game – not to mention thoroughly efficient central heating systems. Modern caravan holiday homes really are at the top end of the self-catering market, and are designed along the lines of a spacious, luxury apartment with separate bedrooms, bathroom, living-room and kitchen and dining areas. Upholstery and decoration are of superb quality, and there’s every convenience you would expect to find in a fully equipped home. What should I expect to pay for a stay in a holiday caravan? Prices, of course, vary from park to park, but even in high season you could easily pay less than £500 for a whole week’s rental. That, remember, is the price for everyone, and most holiday caravans will comfortably accommodate up to six people. Top-graded parks in popular areas can top £1000.00 per week during school holiday periods. On the other hand, you could enjoy a long weekend in a luxury holiday caravan in spring or autumn for £200.00 or even less for the whole family. What does the price normally include? It covers not just gas and electricity, but often also the use of the park’s facilities such as its swimming pool or tennis courts. Entertainment and children’s activities are also generally covered by the rental charge. What can I expect at the park? Parks can provide the perfect base for all types of holidays because they take you right to the heart of where you want to be; you’ll awake each morning knowing that the beach is but two minutes away, or that you’re surrounded by the wonderful countryside you came to enjoy. Is there a grading scheme for parks? 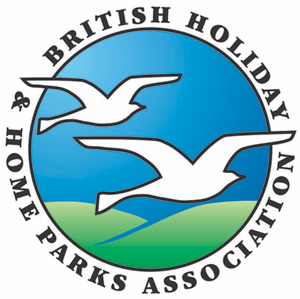 Perhaps what really decides the issue for most families is quality which British parks offer – and helping holidaymakers to judge those standards is an official star-rating, assessed by the tourist boards based on the quality of the facilities which the parks provide for guests. All types of holiday parks come under the scheme. They range from small farm-based parks where you can stay with your touring caravan or tent – right up to major holiday park centres which provide chalets, holiday caravans and lodges to hire, and plenty of leisure and entertainment facilities. The purpose of the grading scheme is to assess parks on the quality of what they provide, and to award up to five stars for the standard of what’s on offer. How does the grading scheme work? The number of stars received by a park is a guide to its level of excellence. Parks can’t miss out on stars by not having facilities such as swimming pools – but what they do offer customers must be of the very highest standard in order to receive a top grading. Five stars is the highest possible award, and these parks are judged to be meeting “exceptional quality standards” in every aspect of their facilities. Four-star parks are described as being of “excellent quality” and also rank amongst the industry’s best, having demonstrated superior standards which will be evident at all levels. Parks with three stars have the official designation of “very good” and can be regarded as representing the industry standard. But even at the two and one star levels of “good” and “approved”, the smallest details come under close scrutiny, and must meet strict tourist board criteria. What types of holiday do parks offer? British parks offer an unparalleled choice of different holiday styles. Some are out-and-out family affairs – and it’s here you’ll find features such as swimming pools, play areas, clubs for children and grown-ups, plus a great carefree atmosphere. These parks have all the right ingredients to keep everybody happy, often including cafes and restaurants, plus park shops for all holiday essentials. But if your notion of a relaxing break is rather different, many parks are designed specifically for couples and families who enjoy quieter away-from-it-all surroundings – and where the main attraction is a beautiful setting in the peace of the countryside, or on the coast and away from the main holiday resorts. And for those increasing numbers who get their thrills from outdoor activity, there’s a long list of parks which pitch you right into the heart of things. Many are located just minutes away from facilities for biking, climbing, pony trekking, sailing and other sports, and a large number of parks themselves provide opportunities for equipment hire. 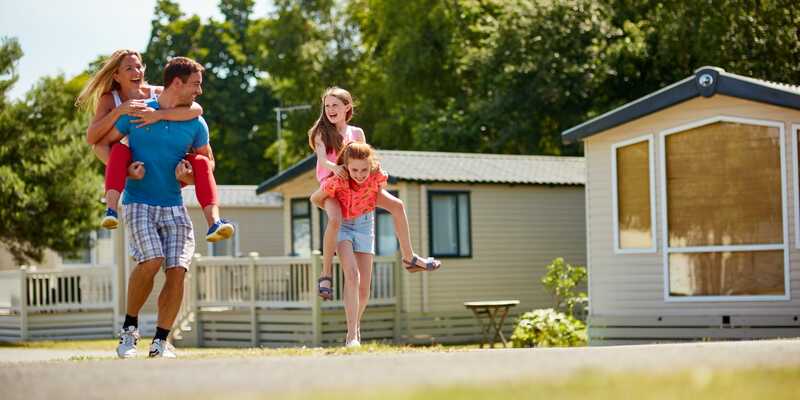 For tens of thousands of families every year, a holiday caravan on a UK park remains the perfect answer to getting the most from every well-earned break.